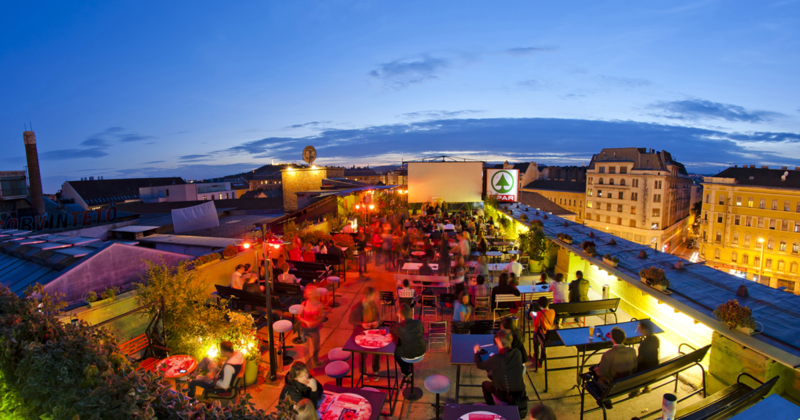 If Budapest had any weak points before, it was rooftop parties. That changed immediately when Corvin Club first appeared on the party map. It’s hard to miss because of the gigantic LED banner. Underneath, the shopping center – formerly called Skála – serves it’s customers in the daytime, but at night it transforms to a legendary underground party place. The open, 600 square meters huge rooftop gives you the feeling of floating over the city, and it’s strenghtened by DJs and bands playing until the sun rises, or even after that. Beside their own residental artists they invite the top international artists of the electronic music scene, so no doubt that Corvin Club is the liveliest place in town. You probably thought about how awesome would be to party in Budapest with the most amazing view. There you can have it on the top of a six level building. Along the open rooftop there are more rooms inside where tematic parties are organized. In Corvin Club the main entertainment is partying all night long, but there are sports game and movie nights on the rooftop terrace as well. There are more bars for all the thirsty guests, the list of beverages is constantly increasing and they opened a small bistro kitchen lately to provide your essential carbohydrate intake.